There’s a certain magic that’s part of the book-making process, a collaborative effort between author, editor, designer, and a host of others who help a book make its way into the world. Once the writing is done and the manuscript is handed to the editor, the writer is left in the dark as the editorial team prepares the book for publication, sharing information as it becomes known at each stage of the process. So much of the process is based on trust--trust that the writer has probed the deepest recesses of his heart, trust that the editor has understood those probings and helped the writer dig even deeper, trust that once done the editor can translate the words of the text into an equally compelling vision via the designer, trust that it will all come together as close as possible to the image of the book that the writer has formed in his or her mind. I am one of the lucky writers. I found a sympathetic editor from the start, an editor who respected my privacy as I probed into the private regions of my heart, yet who helped me understand when I hadn’t quite articulated my feelings clearly or compellingly enough and could give a gentle nudge to point me in a different direction or to return to digging deeper but using a different implement, a spade, perhaps, instead of a pitchfork. Her name is Linda Cogozzo, and I want to thank her here, in this space, where we first met... and where, in some mysterious, magical way, the book began to take shape, unbeknownst to both of us, years ago. All the while I was writing, I was unconsciously forming an image of the book in my mind, unaware of that image until miraculously the cover above appeared on my computer screen as an attachment that Linda sent me. Somehow she had used magic or some incantation to read my mind, and the image that I wasn’t even aware of creating over the past five years appeared before me. That’s the kind of trust that I’m talking about. I still have yet to feel a book in my hands (though I've seen the interior layout design, which is as beautiful as the cover), to smell the paper and ink, to run my hand over the pages. But I trust that when I see the final book, I’ll feel the same awe and gratitude that I felt upon seeing the cover for the first time. 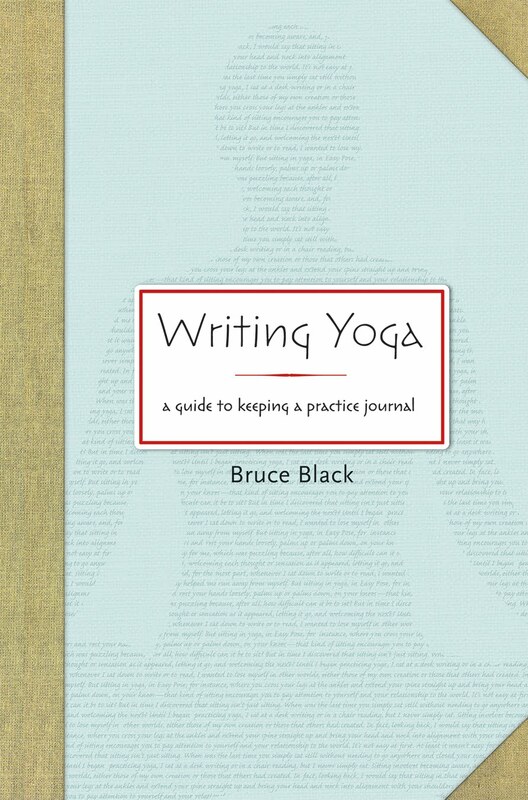 Writing Yoga is scheduled for publication in April, 2011, only a few months from now. This past week, Linda told me that it was on its way to the printer. Now I’m waiting for the day I’ll be able to share it with you, hoping you’ll take delight in its appearance and that it’ll help you delve beneath the surface of your writing to make the kind of discoveries that will bring magic into your life, too. It is an incredible feeling, isn't it, when the process works and a book comes together. I preordered my copy of WRITING YOGA on Amazon three weeks ago--good luck and congratulations! Thanks for all your support over the years. It's great to find you in the water! A tender post on book publishing. Thank you. And best of luck to you as your book enters the world. Thanks, Michelle. And good luck to you on the arrival of A Knitter's Home Companion in March!